Alwaght – British defense industry personnel are involved in Saudi Arabia’s aggression on Yemen which has resulted in unprecedented war crimes and atrocities, a leaked report has revealed. Never seen before documents published as part of a new paper titled ‘UK Personnel Supporting the Saudi Armed Forces – Risk, Knowledge and Accountability’, suggest that some of the functions carried out by British personnel and arms companies in the Persian Gulf kingdom may be more than what the Government is willing to admit. According to the report, British arms deals to Saudi Arabia dating back to 1985 have contained secret support clauses for British-made aircraft which tie British contractor and government personnel to Saudi military action, even if the UK is not itself involved directly. These aircraft, Panavia Tornado and Eurofighter Typhoon fighters, have been conducting continuous airstrikes against targets in Yemen since the Saudi-led aggression on the country in 2015, with strong claims made by human rights organizations that war crimes are being conducted, including the use of cluster munitions. 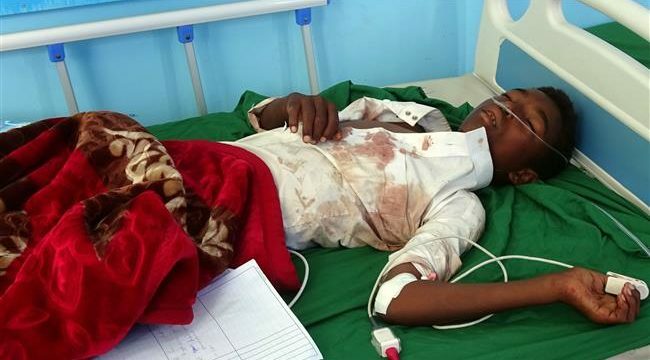 Among the most recent atrocities committed by Saudi aggressors was on April 23, when Saudi warplanes hit a wedding party where 20 civilians were killed. Since the Saudi-led aggression started, at least some 14,000 Yemenis, mostly civilians, including women and children have been killed and hundreds of thousands injured according to local estimates. The country’s infrastructure has completely collapsed. In December last year, the European Parliament adopted a resolution to suspend arms sales to the country on the back of these alleged charges. Based on two years of interviews with former staff by Mike Lewis and Karen Templar, with support from the Joseph Rowntree Charitable Trust, the paper is part of a wider ‘Brits Abroad’ project which examines the role of British nationals operating outside the UK to contribute military and security services in armed conflicts. While the British government has maintained that the country’s personnel currently stationed in Saudi Arabia have been away from any frontline roles including the targeting or weaponizing of British-made aircraft used in Yemen, terms contained in secret government-to-government contracts dating from 1986 still dictate British help to the Royal Saudi Air Force when the kingdom is at war. The report puts the Britain’s human ‘footprint’ in Yemen war at approximately 7,000 British contractors, British civil servants and seconded British military personnel. In a report published March this year as the Saudi-led aggression entered its fourth year, Amnesty International noted that US and UK arms supplies to Saudi Arabia-led coalition are devastating civilian lives. “There is extensive evidence that irresponsible arms flows to the Saudi Arabia-led coalition have resulted in enormous harm to Yemeni civilians. But this has not deterred the USA, the UK and other states, including France, Spain and Italy, from continuing transfers of billions of dollars’ worth of such arms. As well as devastating civilian lives, this makes a mockery of the global Arms Trade Treaty,” the rights group noted. Both Britain and the US continue to ignore concerns raised in a bid to protect their multi-billion arms deal with the Saudi regime and other Persian Gulf monarchies. Meanwhile, according to the UN Office for the Coordination of Humanitarian Affairs (OCHA), more than 20 million people, or 80% of the Yemeni population, are in need of humanitarian aid. In a recent report, the UN Refugee Agency (UNHCR) stated that there are more than 2 million internally displaced persons in Yemen. What could Iran do if Trump pulls out of nuclear deal?